Nick's life is rough. Having a "touch" has it's consequences and Nick knows first hand how much negative can come from something done with good intentions. It was sad seeing the torture this boy endured. I didn't except the ending of this book, but it left me happily surprised. I feel like Cyn Balog is one of the most underrated authors I love. I never hear her name mentioned much in the book circles I follow and most people have never heard of her when I tell them I'm reading one of her books. But I swear, every book I've read is great (I've read them all except Fairy Tale so far). I really liked the darker direction this tale took in comparison to the lighter, more comical stories I've read before. I can't wait for what looks like an even darker story in Dead River! I like that she's capable of writing such very different stories all at the same level of interest. If you've never read her work, really you need to check her out! 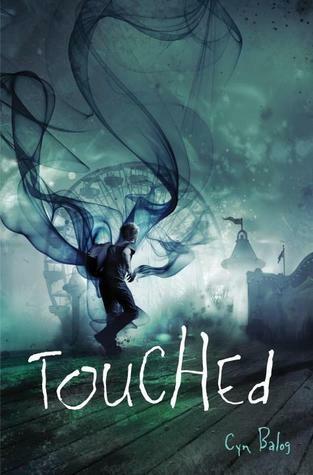 Sign into Goodreads to see if any of your friends have read Touched.